Perfect whirlpool/ therapy bath for any home. 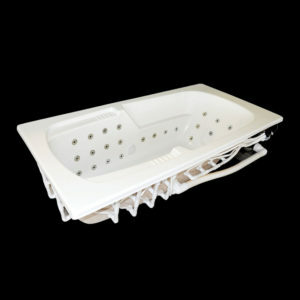 Jets provide bather a high intensity massage for the body. 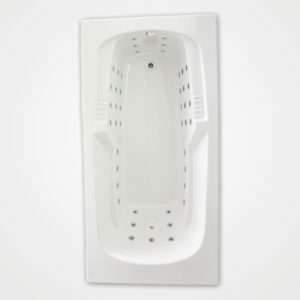 Fill the bathtub with hot or cold water to provide post operative rehabilitation massage therapy or simply lay back relax and enjoy a body massage to relieve tension from a long day of activity or stress. 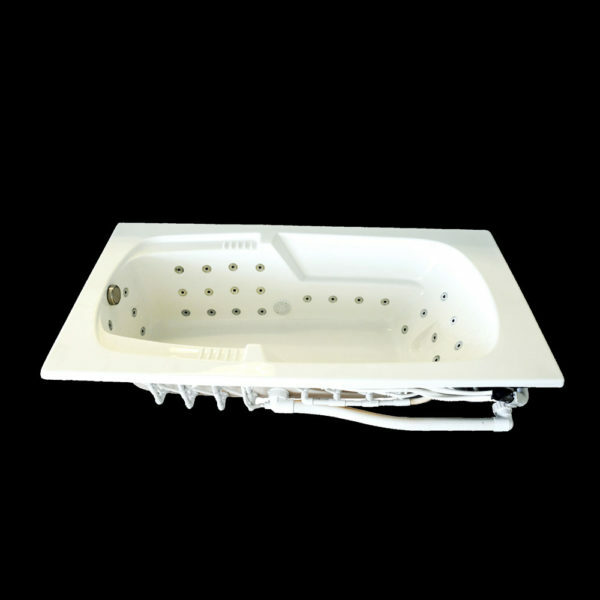 Anyone with aches and pains or arthritis will benefit from the effects of warm water caressing the body from shoulders to feet. Electrical devices come with a 2 foot chord and standard plug. Available in various sizes & Shapes. Call for pricing. America’s Best is dedicated to serving you with reliability and integrity. If you are remodeling a bathroom, adding a bath to your existing home, or building a new residence, a Watertech bath will add a touch of luxury and elegance to your home. 2 inline heaters – 1.5KW, 12.5A, 120 Volt. Ozonator – 15A, 120 Volt. 46 Hydrotherapy Jets (Chrome Finish). 160lbs shipping weight (price does not include shipping). 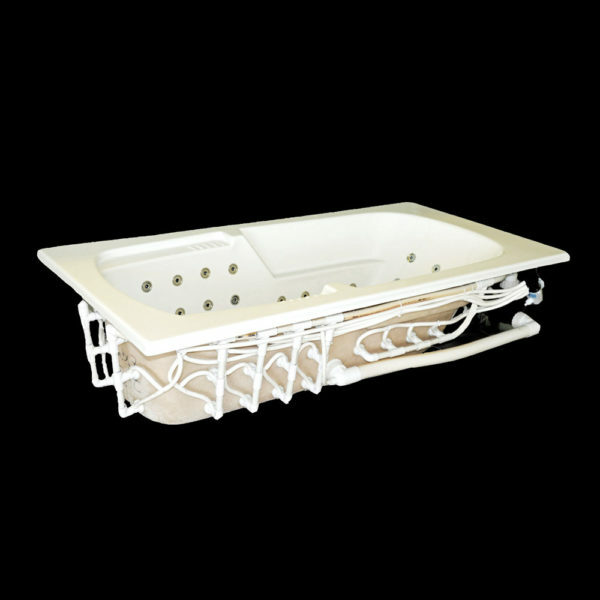 Click here for the complete instructions booklet (.pdf format).